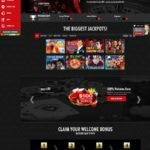 Intertops Casino is an online casino including mobile, sports betting, poker and live dealer games, established in 1996 using games powered by RTG software. It is operated by Thinkquick Ltd and is licensed under the jurisdictions of St. Kitts and Nevis. Intertops is by far one of the largest and most reputable names in online gambling. This International Gaming and Entertainment Ltd owned casino offers players many nice features, features like a poker room and a sports book. (now they accepting bitcoins also for 2017 ) Their promotions are enough to make any player want to join, Another huge plus is that players from the United States are accepted here. As previously mentioned as far as promotions and bonuses go, this casino goes all out. 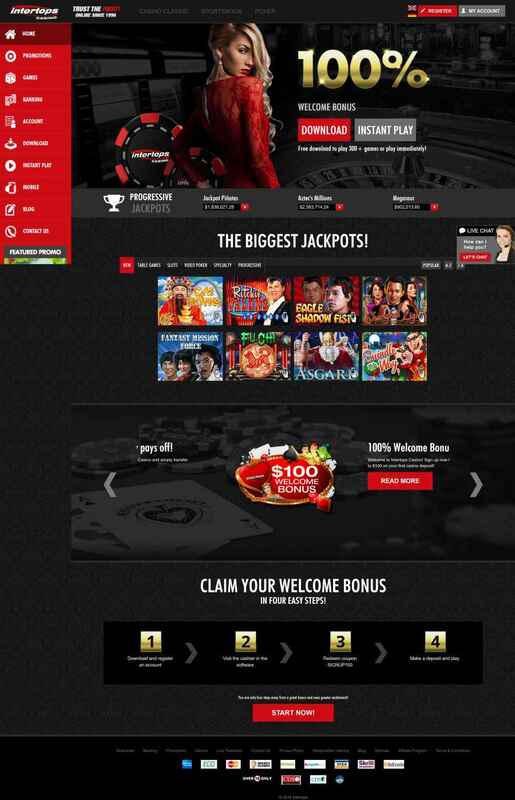 They are really good at luring players to their games, enticing them with bonuses, contests, and monthly specials. Even on your first deposit, they will go out of their way to give you a nice bonus. Do not hesitate to enter this bonus code and get your prize from the cashier. The more you come back here, the more you will get rewarded. Basically, every time you make a wager of ten dollars, you earn a Comp Point. And when you gather 100 of these comp points you can cash them in for 1 $ in actual money. You don’t need me to tell you just how nice this offer is, you get rewarded just for participating. You just go to the cashier, cash out your points, and watch them get added to your account. The new red casino that is found at Intertops is powered by the infamous Real Time Gaming Software. The slightly older Green Casino’s games are powered by Microgaming. Both software versions are valid. None can claim that one is truly superior to the other. And by doing this they offer players the option of choice. The decision of which to use is up to them. However, the Red Casino is seeing the most improvement. They are constantly trying to tweak it and add more games. So it’s up to you to choose the innovating red or the tried and true Green Casino. Thanks to the more recent Red Casino, their total game roster has climbed up 300 games and counting. They are available through downloadable and instant flash play. Their entire game roster is not available through the flash version. 300 games are not the largest library in the world, partly due to the fact that sports book and poker are available thanks to an alternative gambling site that they own. They still offer to sic bo, baccarat, craps, slots, keno, paigow, roulette and of course video poker. Intertops Casino’s only promotion does not consist only of their Red and Green welcome bonuses. As said every single wager a player ever makes will eventually accumulate, offering the potential of real money over time. Red Casino players also get Wheel of Promotion participation by default.